Blocked or cracked gutters may cause water damage. Gutters' job is to take rain water from the roof and send it down the drains. If they are not doing that properly water will tend to run down the house walls causing external damage and internal dampness. Clear gutters regularly. They will tend to accumulate leaves and soil. If left too long you may even find plants growing in them. This will stop the flow of rain water which will overflow. 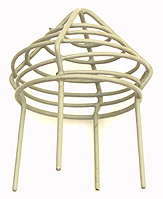 Prevent leaves getting stuck in the down pipes by placing a downspout leaf strainer in the top of the down pipe. Clean this regularly and you should have no problem. 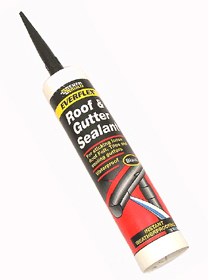 Cracked gutters may be temporarily repaired with roof and gutter sealant, a thick water proof bitumen mastic. 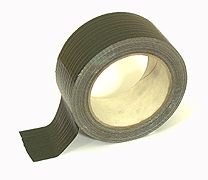 An alternative is to use gutter repair tape. Checkout Sylglas who supply this. They have a very useful site where you'll find instructions on how to use it as well as other water proofing products for roofs, skylights, flashings, and more. If your gutters are are too bad you may have to replace some parts. Modern plastic gutters are very easy to repair as they are assembled from parts which simply clip together and attach with plastic fixing brackets. This makes it fairly straightforward to remove and replace any damaged sections. The joining pieces have integral rubber seals which form a water tight joint against the gutter sections. Older gutters mage from cast iron are more fiddly and i'd advise getting a specialist in if you need extensive repairs done.